In this series I continued making scenes with stuffed laboratory rats. In 2009 I firstly concentrated on the phenomena of the experiments on the white laboratory rats. I asked the craftman to put these animals into the poses familiar to human beings according to my sketches. 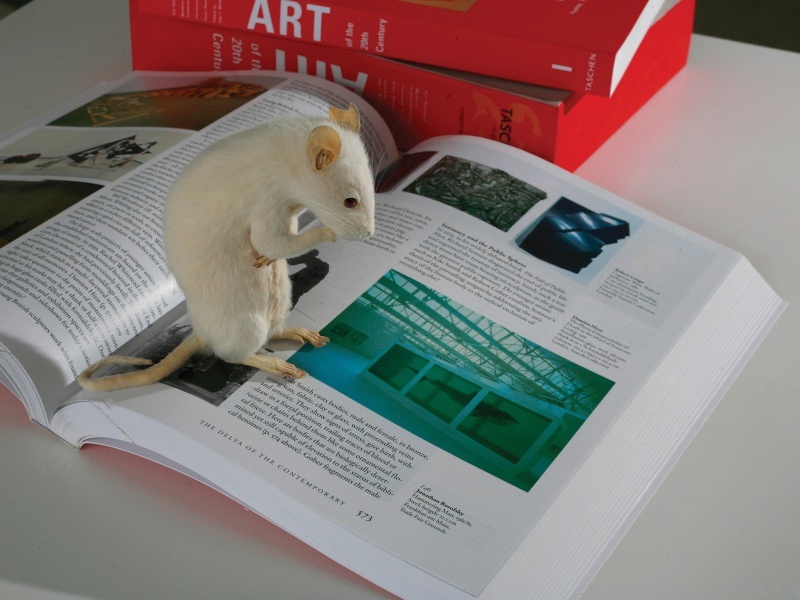 I let these small animals meet and comment the space of art via books left on the table arranged as that of an art historian.